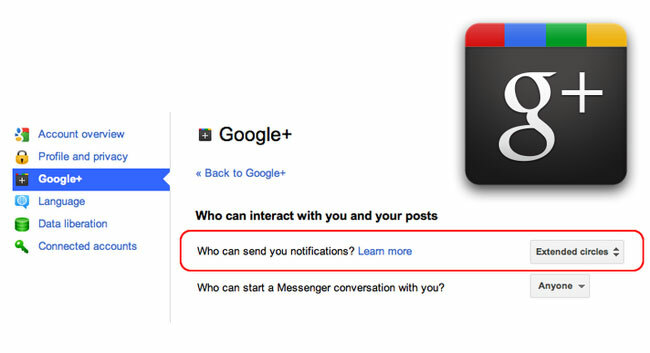 If you have been receiving far to many unwanted notifications in your Google+ stream you will be pleased to know that Google has now rolled out a new update that now allows you to control the notifications you receive. The new setting options allow you to choose who you’ll get notifications from and if they : Share with you individually, Select ‘Notify about this post’ (when sharing to a circle you’re in), +Mention your name, Invite you to a hangout or Invite you to play or send you messages from a game. But don’t worry you will still be notified if someone comments on one of your posts or adds you to a circle. Google has now set the “Who can notify you” setting to Extended circles as the default, but you can change this to be Your circles, Anyone, or a custom selection of specific circles and individuals. Google says the new update will be rolling out slowly to all users so if you haven’t received the update don’t worry it is on its way.